When you minimize stress…you’ll maximize success. This is our philosophy for how to achieve and maintain a healthy, well-balanced life. LifeCurrents is owned and operated by Debbie Friend. 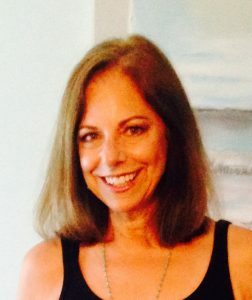 As an exercise physiologist, Debbie spent years counseling, educating and training countless heart patients and healthy adults on how to develop, adopt and practice sound dietary and exercise habits. Over time, Debbie came to the realization that regardless of how wonderful a person’s diet and fitness habits were, if the individual was always stressed, all the other positive health practices were being negated. Therefore, she began to research, design and implement programs that would address this dilemma. Today, Debbie promotes wellness through her successful stress management, laughter yoga and healthy living workshops. Her energetic, upbeat style and friendly, personable approach makes her sessions fun, informative, relaxing and entertaining. Every program that Debbie presents is unique, creative and individually tailored to address each client’s specific needs. To ensure maximum benefit, Debbie then provides one-on-one coaching—making sure that participants set desired health goals and take appropriate steps to achieve lasting success.